It is heartbreaking. Dream shattering. And life-altering. It is faith shaking. Fear raising. And soul crushing. It is praying…and praying…and praying until the words become nothing more than silence. It’s attending a baby shower, sitting in the back, and feeling the sting in your heart and the ache in your womb as you want so desperately to be the one up front, opening the gifts and crying tears of joy. But instead, you are holding back tears of sorrow as you answer questions of when it will be your turn, while also being forced to listen to advice on “how to” get pregnant faster. It is tears. Followed by sobs. And continued with heavy groans. It is making plans. Changing plans. Then surrendering all plans. It is seeking answers but finding none. It is walking down the baby aisles and touching the onsies, picking up the booties, and wondering when. And then asking why. It is standing and shaking your angry fist to the heavens one minute, but on your knees praying for God’s mercy and crying out for His grace and miracle-working power the next. It is feeling like an outcast, a leper, that no one understands. Or even tries to. It’s opening up your Facebook and seeing a pregnancy announcement…and then another…and another. You feel jealous. You feel envious. And you feel bad for the crazy emotions that somehow overtake. But you can’t help but feel overlooked. Abandoned. Forgotten. You can’t help but wonder if your prayers have gotten lost in the shuffle. It is feeling as though the cause of your infertility is because you wouldn’t make a good mother. Or you aren’t a good enough person. It is begging and pleading that this time, this month, everything changes and becomes different. It is sometimes wondering when it’s time to stop trying and saying enough is enough. It is running from room to room holding up the pregnancy test strip in different lighting just hoping the imaginary line you see, is actually real. But it’s not. It never is. It is waiting. Waiting for the appointment. Waiting for the phone call. Waiting for the two-week-wait to be over and the struggle to end. Waiting for prayers to be answered and the miracle to come. It is crippling. Crippling of your strength, your marriage, your finances, and your joy. It is feeling unworthy. Because maybe your faith is too weak. Your prayers not enough. Or your past too damning. It is having moments, even days, of anger, bitterness, and despair. And feeling horrible for it. It is frustrating. Because why can’t your body do what it was created to do? And why can’t your body accomplish what comes so naturally to others? But the body of the person not even hoping, praying, or even wanting a baby can. 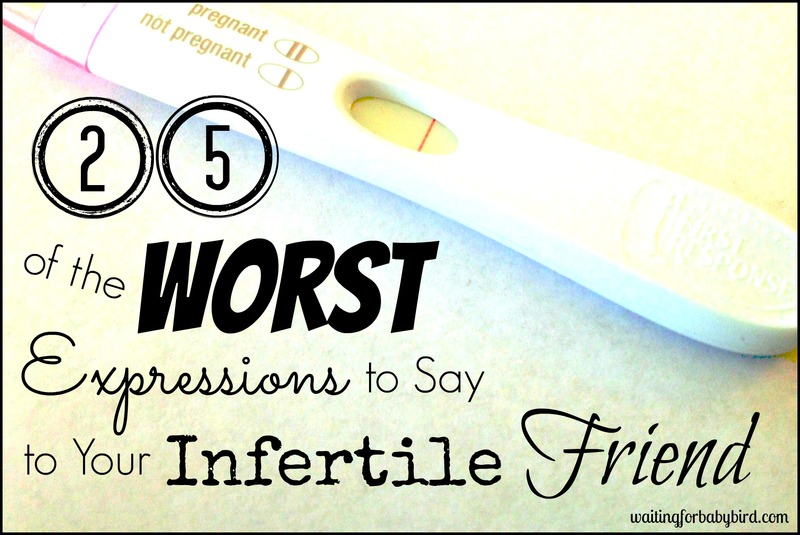 But sweet friend, while my simple, five word statement said all of that about my struggle with infertility…at least in my mind…do you know what else it said? It also said what infertility is not. And it is not going to win. Because while I might bend, I won’t break. While I might fall, I will get back up. While I might lose my way for a bit, I’ll find it again. And while my wave of emotions might sometimes overwhelm me and take me under, I’ll always kick back up to the surface. Everything that infertility is, has made me fight for what it is not. And it is not going to drag me down, beat me up, and leave me forever wounded. I am a Daughter of the Most High King and through Him, by Him and with Him, I am more than a conqueror. 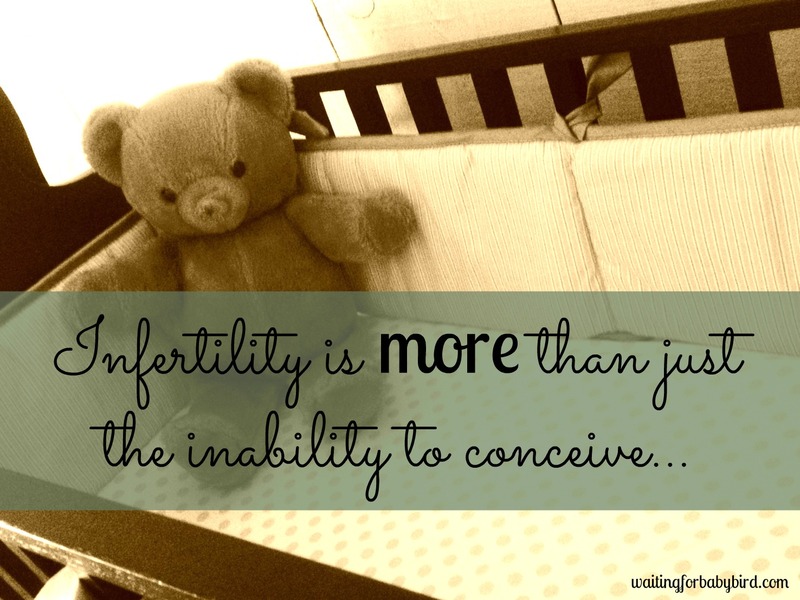 Infertility is what it is. But I also know what it is not. And it is not going to win. ← Where Did All the Dreams Go? Oh, how this hits home! When we tried IUI years back and my husband was like did you take a test I hated having to say I don’t need to my period came. And even to this day saying I have my period still stinks. God has a plan for us and all of us. Thank you for your support through the journey. after being on this journey for 5 years… 2 rounds of IVF, 4 failed transfers, the last one with a PGS normal embryo… the ONLY normal one of the batch.. being back to square 1 with IVF #3… This post describes every.single.feeling as well as God’s love and faith. Thanks for writing this! Beautiful! I’m with on almost all of these. Sending all my love. xoxoxo! Please know that you are NOT alone! I commend you on your honesty and all of your raw emotion that you put into writing this. You stated perfectly what so many of us feel, and also stated what so many outsiders fail to understand. Thank you for being brave enough to share about this topic. 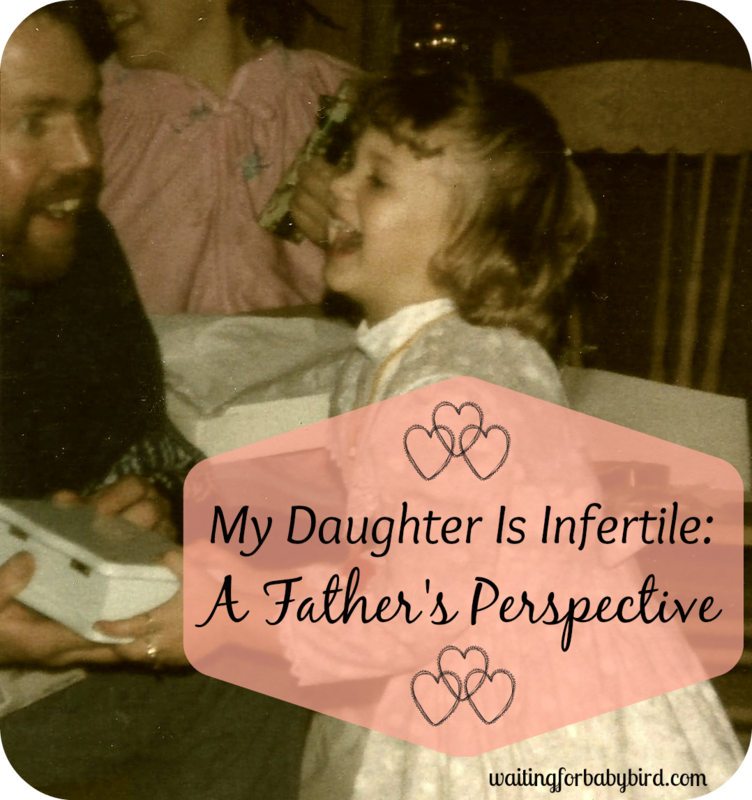 It brought back a lot of feelings for me when I was going through my struggle with secondary infertility. Hope was always the anchor to my soul, but even hope had a double edged sword. Elisha, I’ve been following your blog for a long time. I always look forward to your posts because each one is so beautifully written. I too have PCOS and know how hard it can be to conceive while having it. Not to mention I had more wrong with me than that as to why I couldnt conceive. I don’t want to overstep or be one of those “have you tried this method” yet, but what we have found through our journey of infertility that helped us conceive was Naprotechnology. It treats underlying issues of infertility rather than masking them with meds. I’m sure you may have already looked into it and I totally understand that what worked for one person may not work for someone else. I just know what it’s like as I have walked through your shoes and felt every emotion possible as you have. You are always in my prayers even though I have never met you and I truly hope that one day God answers. God Bless. Wow. I loved this even though it had me in tears (again). I have said those exact words so many times because, what else is there to say? It is what it is and we just keep trying to put one foot in front of the other in the hopes that one day one of those steps goes right. I KNOW. Ten years of baby aching…IVF…failure….IVF…yes…twins… miscarriage…dark, dark days…adoption….3 failed adoptions….at the hospital…empty carseats. Deep end of the ocean. Then the valley…Years in the deep valley. Too many tears to count. Such a hard providence. But, a Bigger God. Teeny, tiny ray of light…adoption…YES…finally….our baby…beautiful blue eyed daughter. SO MUCH LOVE. Baby smells. Baby honeymoon time. SO MUCH HAPPINESS. Then lots of waiting…more and more waiting. Losing hope…wondering and waiting. Six more years of waiting. But, finally, more babies…baby boys 11 months apart. PURE JOY…uncontainable overflowing joy…consuming all the sorrow. Bigger God puts on another show: One more baby girl…Our heart’s darling. Home full of babies after ALL the aching and waiting and wondering. SO many tears….SO much joy. All worth it. Story of Triumph. God’s triumph. (Prayers for you). People should think before they speak when saying, “What are you waiting for? !”, “Isn’t it time for you to have your own offspring? !”, ” Don’t wait too long or you’ll be taking your kids to kindergarten in a wheelchair! Hahaha!”. Have these people considered for a minute that maybe all you want is a chance to have a perfectly healthy baby with the most amazing man you’ve ever met?! That maybe you’ve had more miscarriages than anniversaries with the one true man you’ve ever really loved that leaves you depressed for months on end?! That maybe you’ve been left with the scars of being cut from hip to hip almost losing your own life, without that reward of beautiful baby?! That maybe it’s not in you to have your own children at all because of your dysfunctional upbringing, but in turn, you become the most loving, life changing, adoptive or foster parent?! “It is walking down the baby aisles and touching the onsies, picking up the booties, and wondering when.” This is so true. I touch the cute dresses and wish to buy it ‘one day’. 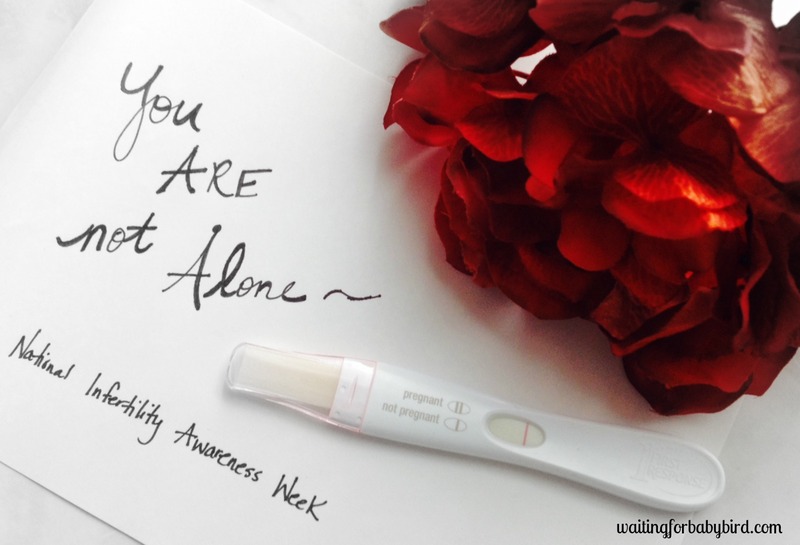 I am TTC for 4 years, the frustrating PMS and period each month is the reminder of infertility. I don’t know how you do it. That is: “Put all of my thoughts and feelings from the last 13 years into sentences that make sense”. Even though I’ve accepted the path God has chosen for me and I had a hysterectomy a couple of months ago, the feelings occasionally creep into my subconscious. The FB posts still drive me crazy! And, I hate that! You are a lovely beacon of hope. Keep posting! Never feel that your words shouldn’t be out there for all to see- God is using you in a big way! I so needed this today. We have finished up our last go with clomid. Even added IUI this time to up our chances just a smidge! Only to find out that my progesterone levels are extremely low for a medicated cycle. Last month I had very high progesterone, although still resulting in a BFN! It breaks my heart to not even know WHY…WHAT went wrong?! Our next step is injectable meds and I am so afraid of them. Afraid of how I will respond, afraid of them not working, afraid of how much they cost, afraid of wasting our hard earned savings account. So thank you for giving me some encouraging words to cling to right now. I too went through a 14 year journey with infertility. 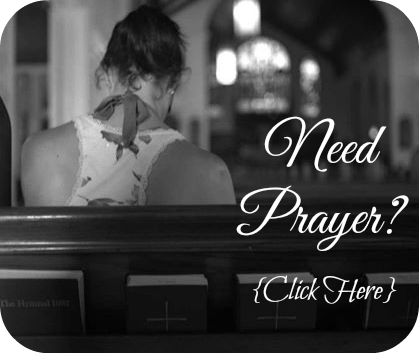 Prayers taking fertility drugs and nothing working. Praying every day. Thinking no one understood! My younger sister had her tubes tied, I couldn’t handle it, it was like she was doing that and I couldn’t get pregnant something just wasn’t fair about that. I cursed her and hung up on her when she told me I was so upset. My husband told me it was her life her choice and it had nothing to do with me. He said if God meant for it to happen it would if not in his plan it wouldn’t. Then after 14 years the sweet Lord answered my prayers and an adoption of a unborn baby just fell in my lap. I was so excited I was afraid to mention it to anyone friends or family until just a few days before the birth mother went into labor. Happiest day of my life when he was born he was surely my gift from God. Endometriosis was my problem by the way. Thanks for sharing your story and prayers for all going through this. This makes me so angry. I know people won’t like what I have to say because it is easier to throw a fit when you don’t get what you want, but as an adopted child, I am so glad my parents didn’t throw hundreds or thousands away to bring another child into the world when there was me, waiting. I hear people. Pm plain about infertility, and hoestly, it is a slap in the face. You want “your own” child. You want “your flesh and blood.” Selfish. Selfish, selfish, selfish. Likely my comment won’t even be posted, but think of the babies out there who need someone to give them a chance. Tho k of the sweet little children who have NO ONE. There are kids just as desperate for a parent as you all are for a child, yet they don’t have the means to do anything at all to help their chances. There are kids who will be abused and hurt because there are not enough willing mommies and daddies who will take a chance on a toddler who might need a foster home. And yet millions of dollars are thrown away on fertility treatments so women can feel as if their bodies did what it was “supposed to do.” If you truly love the child you have never met, love a child that you have never met that already exists. For those of us whose biological parents didn’t want us, thé infertility complaint is particularly heart wrenching and cruel. I understand and value your opinion so thank you so much for sharing. As a foster momma who is in the process of adoption of a foster princess, I know first hand that while I love each and every child that comes into my home, it still doesn’t take away the desire to have my own. There is still pain and still heartache. And sometimes it takes time to work through that grief of not being able to have your own like you dreamed inorder to move to the process of adoption. Not to mention the fact that some people are just not called for adoption…you might not agree with this but not everyone is and that is okay. Also, until you go through this yourself, don’t judge. Don’t claim to know their thoughts and feelings, nor tell others what they need to do. From a fellow foster mom who struggles with secondary infertility, I appreciate you! While it’s true that there are SO many kids needing homes, that doesn’t make it wrong to mourn the loss of a dream you have. It’s a desire of your heart! I pray the Lord gives you that desire–but if he doesn’t, I pray you press further into Him, seeking His best His way. Praying Romans 8:28 for you, friend! You know, I am sorry. I wrote the hateful, angry response after someone I knew posted this to facebook. I wanted to scream because I still hurt whenever I see people who reject children like I was over their desire to have their “own” child. But you did not deserve that cruel response. Please accept my heartfelt apologies. I do feel strongly that adoption is so important and I will never understand why pepole refuse to take in the hurting children of our nation but are willing to spend so much on fertiliry treatments, but that is my perspective from my experiences, and you are a stranger, undeserving of my wrath. I am sorry. Oh, hun! I totally understand! I just wanted you to know that I am a foster momma and doing my best to give children a home but at the same time I do yearn for my own. I just wanted to write a post with all the feelings and thoughts I have had over the last 11 years of this struggle. I hope you hear my heart in the matter. I could not have worded that better. This is everything. I felt all the emotions as I read it. And when you add in foster children, it amplifies and adds so many emotions. Everything you just said, I felt. Every. Single. Thing. I tried getting pregnant for six years. I experienced the negative pregnancy results, the feelings of disappointment when the period started-always on time, but still not ending up with my baby bird, the anger with God mixed with the desperate cries of deliverance and provision. We finally decided to go with IVF, and during my first ultrasound, they discovered two huge chocolate cysts on my ovaries. So I went through surgery and found out I had stage 4 endometriosis with frozen pelvis (on right side, my Fallopian tube was attached to my ovary; on the left, the ovary, tube and colon are fused together). I was feeling a mixture of relief that I had a diagnosis and despair that I may never be able to carry a child. On top of this, I struggled with autoimmune hypothyroidism and my endocrinologist just diagnosed me with PCOS. To make a (very) long story short, God proved to be faithful; I am now holding my almost 2-month old baby boy, the same one that was prophesied to me right before I had my laparoscopic surgery for endometriosis. I know it’s hard; I’ve been there. But God’s promises are true and He will never fail. I trust He will come through. I have been following your blog for a while, and I thank God that He is using you to encourage others. Your words definitely encouraged me during very difficult times. Hi, Elisha! My name is Mary, and I work for ForEveryMom.com, a Christian parenting site. This post is beautiful. I love that you arrived at the conclusion of not just what it IS, but what it IS NOT. I think our readers at For Every Mom would really be encouraged by your post. Would you allow us to republish it on our site? We would give you full credit as author, link back to the original post, and include your bio. What do you think? 🙂 My email is mcarver@outreach.com, and I would be happy to answer any questions you might have! Thank you! Thank you so much for this post! It truly ministered to me. God is using your ministry to remind us of His hope and faithfulness even in while we are walking in this valley. 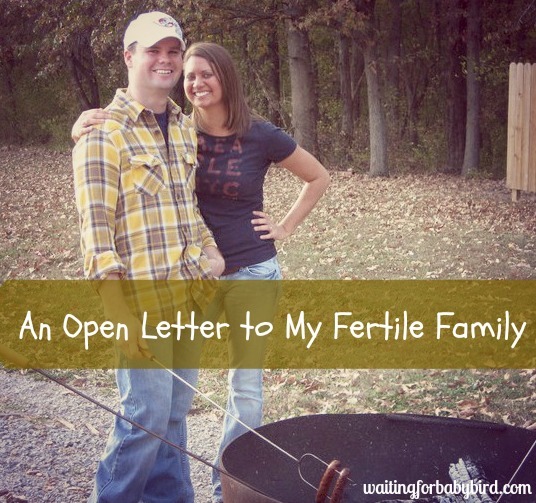 My husband and I have been in fighting infertility for 4 years. I have pcos too. The journey makes you weary at times. This week God has really put on my heart to trust Him, and stop trying to control or fix the infertility on my own. I have tried surgery, meds, acupuncture, herbs, and diet. 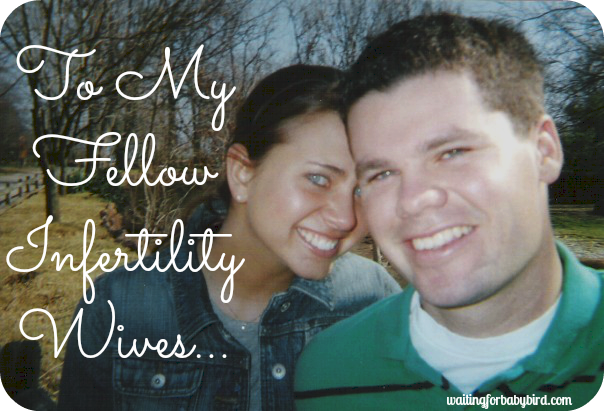 But know I realize above all, I made infertility my priority in my life instead of my Savior. Starting today, I will no longer keep my focus on fertility, and the next thing to try and cure it. I want my focus on Jesus! My God shall provide for my needs. So glad I stumbled upon your blog! This post perfectly explains how I’m feeling! I’m almost numb at this point, and I’ve said “it is what it it is” a hundred times, and have endured “relax, it will happen” more times than I can count (at which time, I’m compelled to give those that say that a lesson on how the human body works, ha!). Anyway, going on 3 years TTC and feeling discouraged, while watching what feels like everyone else in the world getting pregnant, so thanks for this bittersweet reminder that I’m not alone! I feel every word. I have reached a place of surrender, but there are still moments where I am in disbelief that I may not ever be a mom. Exactly how I feel today! I am envious today because a dear friend of mine has a son who just got a newborn baby (his mother gave him up because she has drug issues) even though they already have two children. It seems unfair, it seems so mean, but I know that it was a pure blessing for both the baby and the family who adopted him. It is difficult…so very difficult and I am so thankful to have read the words that you put out that describes it perfectly! Thank you for that today. I can’t believe how perfectly this is. As I read I shook my head in agreement and cried because this is exactly what I go through and feel every. single. day. This is so powerful!! Your blog is such an amazing ministry! Infertility is what it is, but God is still God in it! I’m blown away by the God we serve and how He can turn something so painful and ugly into a beautiful testimony and ministry in His name! Your words are incredibly inspiring and you are such an amazing voice to so many women walking through this- including me!